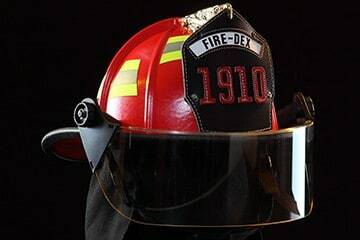 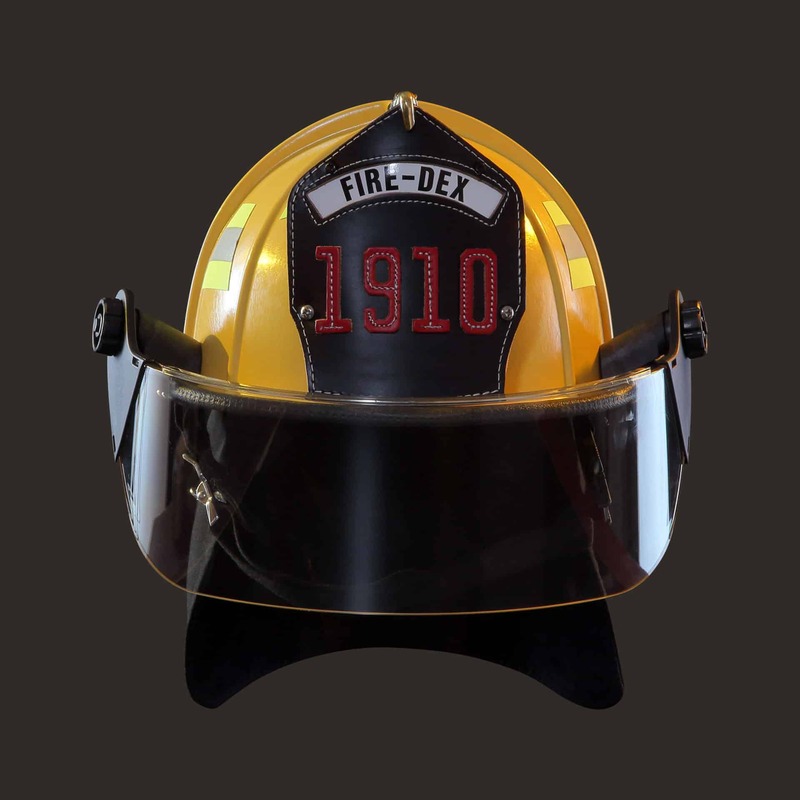 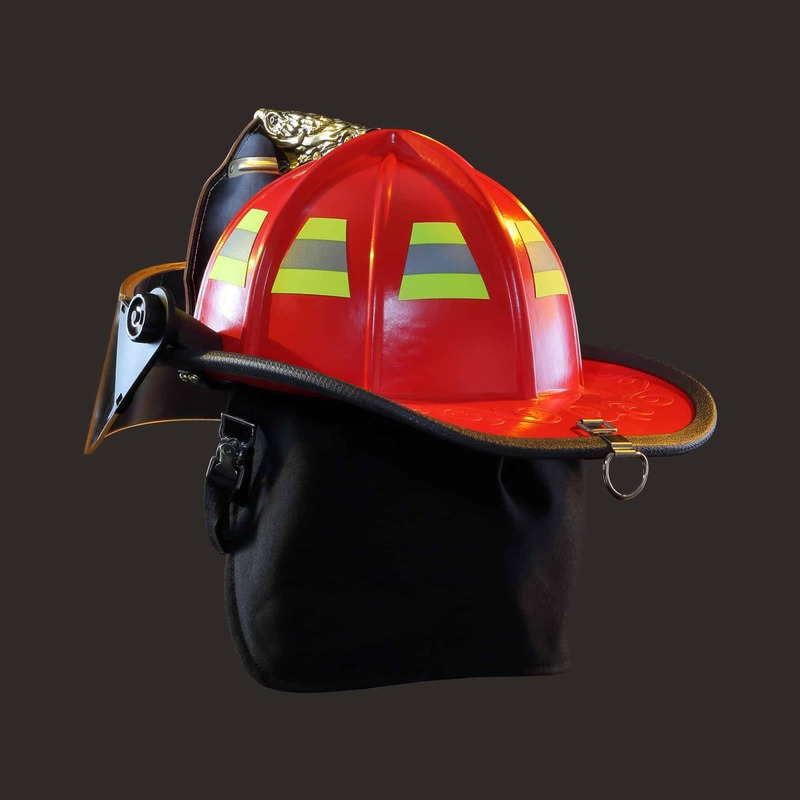 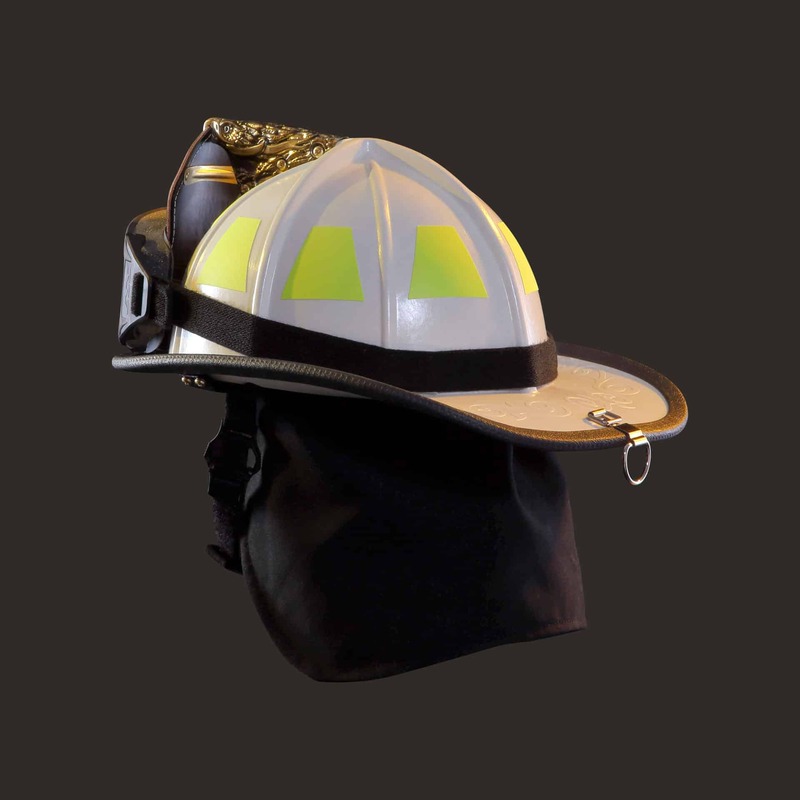 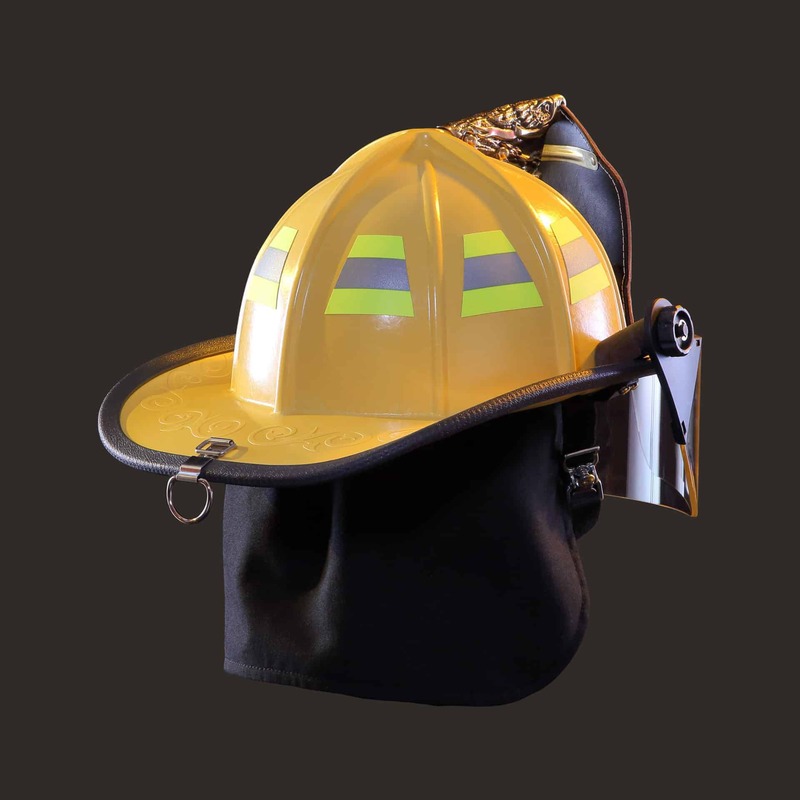 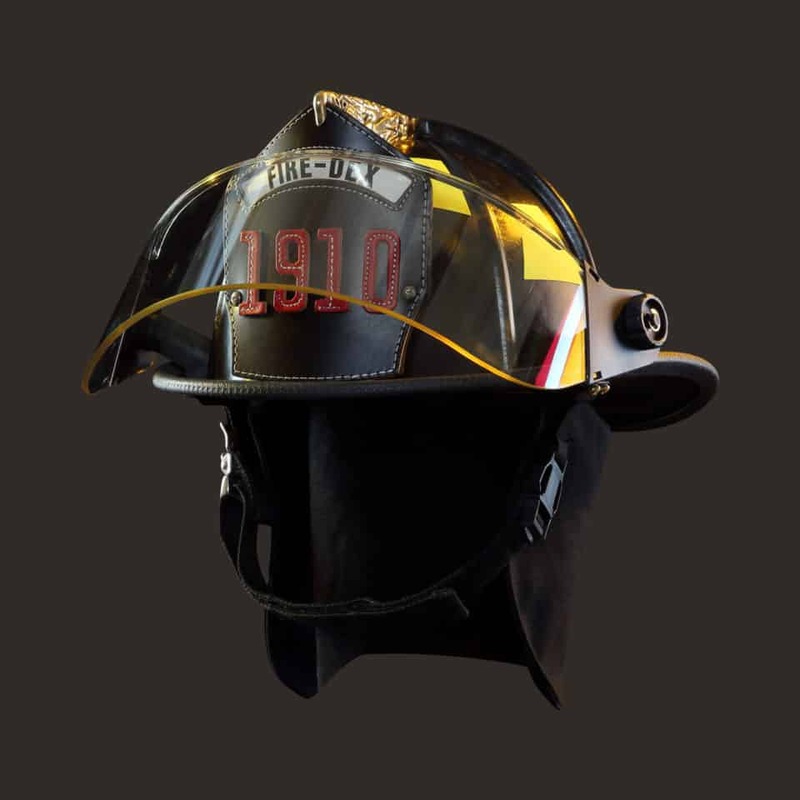 The 1910™ Traditional Helmets use a fiberglass compression-molded shell with a thermal impact cap, featuring ratchet adjustment, and an adjustable headband that fits all SCBAs. 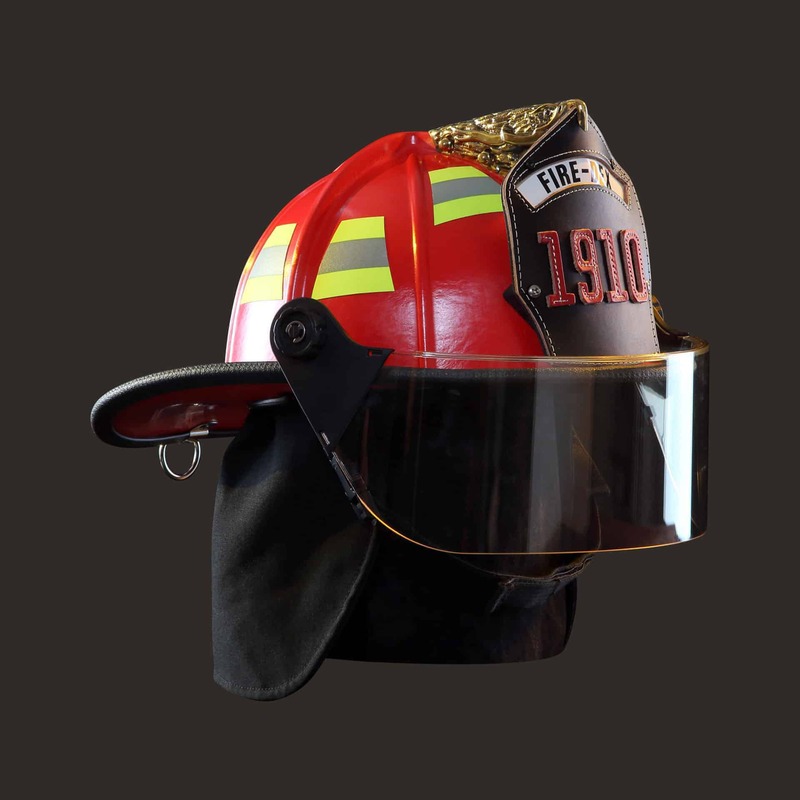 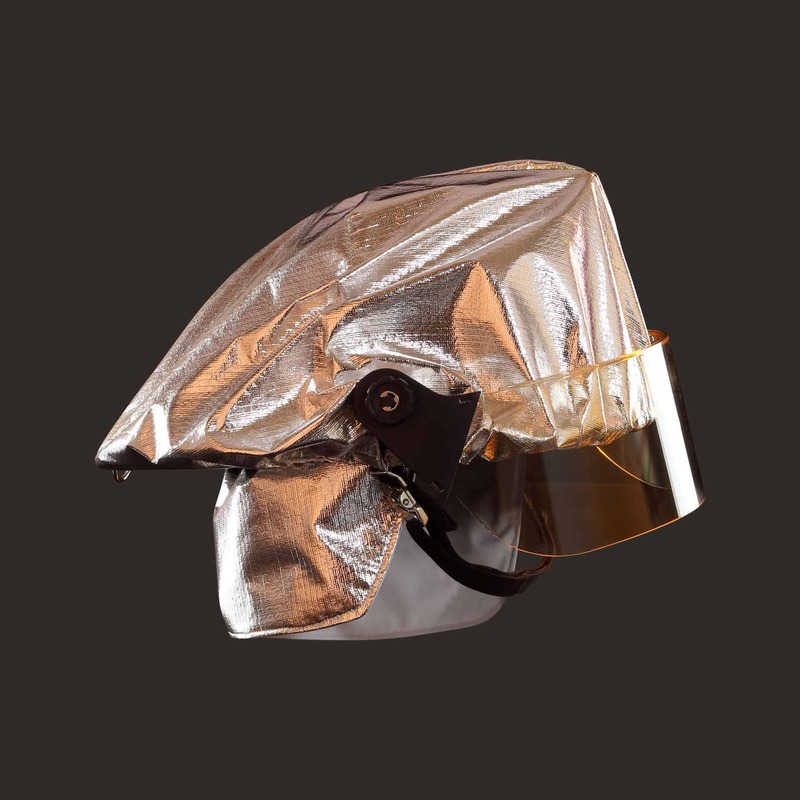 Visors are constructed of hard-coated PPC material, molded to the contour of the helmet with a lip overlapping brim to protect from water and debris. 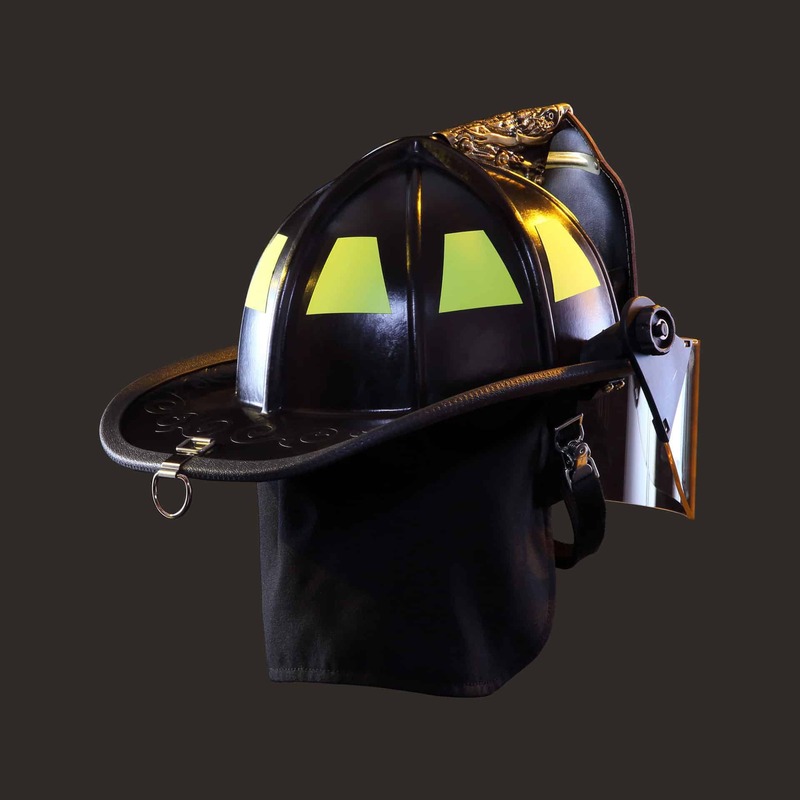 Large diameter pivot knobs allow for easy faceshield adjustment with gloved hands. 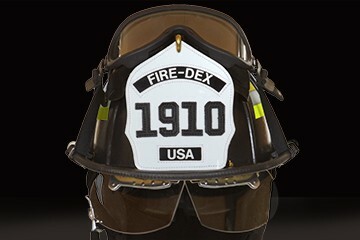 Fire-Dex proudly uses ESS Innerzone 3 Goggles. 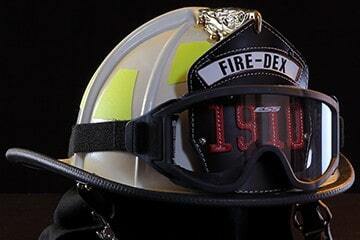 Fire-Dex proudly uses ESS Innerzone 3 Goggles. 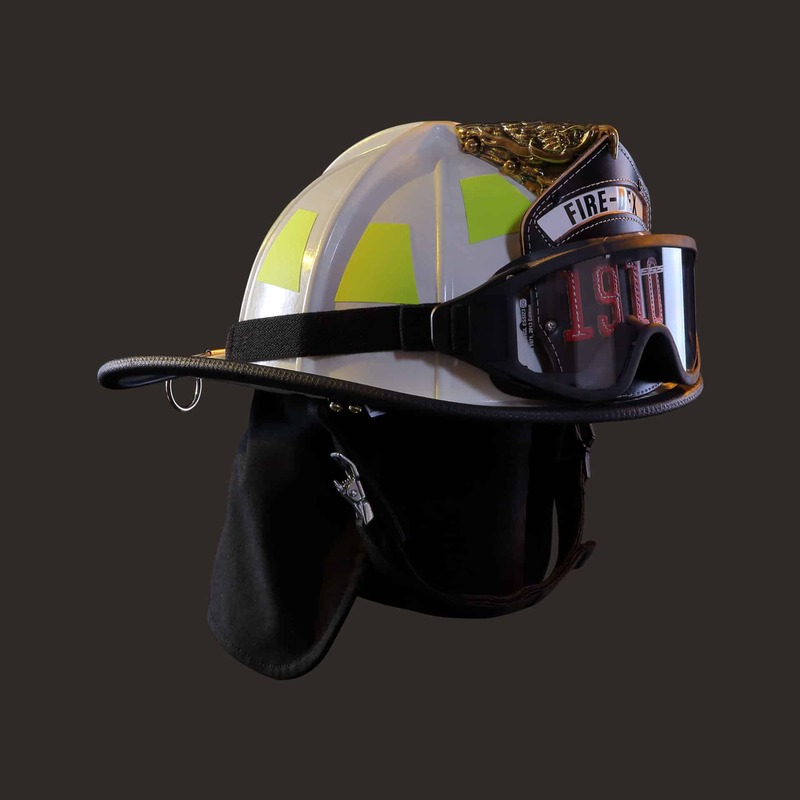 Please note, wearing Bourkes (flip-downs) alone, without goggles, is not considered NFPA-compliant eye protection.